The Training and Placement Cell of AAA College of Engineering & Technology which has moved from strength to strength and has emerged as a destination for many National and Multi-National organizations to recruit the fresh talent nurtured in the campus. In the journey towards excellence, many milestones were also set by the Department of Placements in terms of Quality and Quantity. The excellent infrastructure facilitates different activities of placement like pre-placement talks, written tests, group discussions, and interviews as per the requirements of the organizations. The consistent placement record illustrates the commitment towards progress of the institution. The vision of the cell is to develop Industry Ready students to serve community for improving quality of life. The Training and Placement Cell helps the undergraduate and postgraduate students through counseling, and training for development of desired skills essential for suitable job profile and inviting the Corporate Industries for campus placement. The aim of training and placement cell is to place special emphasis to create an environment highly conducive for building solid foundation of knowledge, communication skills, soft skills, personality development, self discipline and enhancement of creativity through motivation and drive, which helps to produce professionals well trained for the rigors of professional and social life. The Training and Placement Cell acts as a bridge between the Industry and Institutions to take up Industrial training, Industrial visits, organizing seminars, campus recruitment drives and other activities. The department has also enhanced the exposure of the students with various cooperate connect and HR Conclave. The training has Equipped the students with relevant and conceptualized professional skills and guiding them towards a bright future and career all around the world with the values of – ‘Sincerity’, ‘Hard Work’ and ‘Ethics’. To attract at least two industry person per month to inculcate the knowledge of Entrepreneurship. To invite at least two banking employees to share the sources of starting an industry. To have a program with NBFCS in and around Sivakasi. To Share the theoretical knowledge from the department of various educational institutions. To stake the Knowledge through Alumni and friends. To invite people from CODISSIA, DIC, VIDISIA and MADITSSIA. 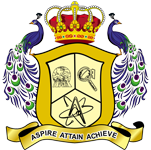 AAA College of Engineering & Technology has initiated Intra College competition for the welfare of students towards obtaining confidence, team spirit, leadership quality, improving personal skills and providing platform for establishing & bring their talents on the stage. The following are the clubs functioning continuously to achieve the above.